Vodka brand's experience features cocktail bar and recipes at JFK Airport. 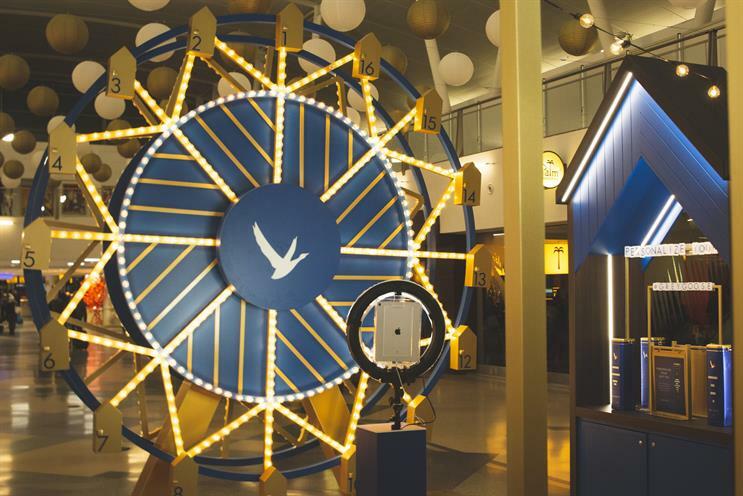 Grey Goose, the Bacardi-owned vodka brand, has created an interactive illuminated Ferris wheel that contains cocktail recipes at John F Kennedy Airport in New York. Passers-by are encouraged to pull a lever to open the door to a mini chalet on the wheel, revealing a recipe that they can photograph in order to try the cocktail at home. There is also a pop-up bar as part of the activation that will feature cocktails made by top New York bartenders such as Jillian Vose of Dead Rabbit, Evan Hawkins of Broken Shaker, Liana Oster of Dante and Channing Centeno of Otis. Mike Birch, managing director and vice-president for global travel retail and commercial development at Bacardi, said: "A bottle of Grey Goose is sold every 13 seconds in global travel retail and we believe that it is an important brand-building channel. "Key to that is giving consumers fantastic brand experiences on their travels that they’ll remember long after they’ve left the airport, influencing future purchase decisions as well as increasing airport sales."